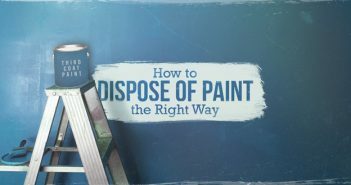 Making the decision to rent a dumpster for your remodeling project is the easy part – it’s the logistics that go along with that choice that are a bit more difficult to figure out. To make your job a little easier, we have made a list of the top three tips for dumpster rentals. Follow these recommendations and your house will go from trash to treasure in no time. · Cost. Renovations are expensive – from the materials to the labor and everything in between, even the smallest project is a huge financial undertaking. The best way to make the process as cost-effective as possible is with a detailed plan, including a strategy for hauling away all the old materials that are ripped out of the house. 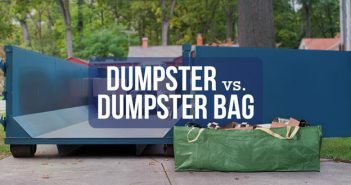 Finding an affordable dumpster rental company may seem like a minor detail, but it is an important part of the puzzle when it comes to creating a budget for any sized remodeling project. · Size. There are two main things to consider when choosing a dumpster size: the size of your project and how much room you have to store a dumpster. We have 10, 20, 30, and 40 yard dumpsters, so it’s important to select the right one for practical purposes. 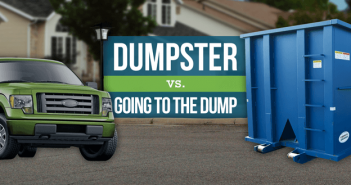 Choosing a dumpster that isn’t big enough to get the job done could be a costly mistake. At the same time, selecting one that is too large could be a waste of money. Another thing to think about is how much space there is at the worksite – as you can see, a lot of thought must go into planning dumpster rentals. · Access. In order for the dumpster to be functional, it must be easy to access. A dumpster that is too large for the worksite could have a significant impact on the project’s efficiency. And, if the project runs over the planned timeline then it ends up costing more money, too. Ultimately, in order to stay on time and on budget, it is important to plan dumpster rentals with practicality and accessibility in mind.